HTML5 Publishing! — Welcome to the GameSalad forum! "My goal is to get HTML5 publishing done by the start of the 3rd quarter, the end of the year most likely and the beginning of next year at the latest." In the words of Douglas Adams: "I love deadlines. I love the whooshing noise they make as they go by." But the long awaited time is upon us and now, available to all, is HTML5 publishing! You can now download the copy of a complete zip file that will allow you to host HTML5 games on your own website, completely bypassing Arcade! (Though we still hope you publish to Arcade). There's even a third-party launch title to go with this announcement! 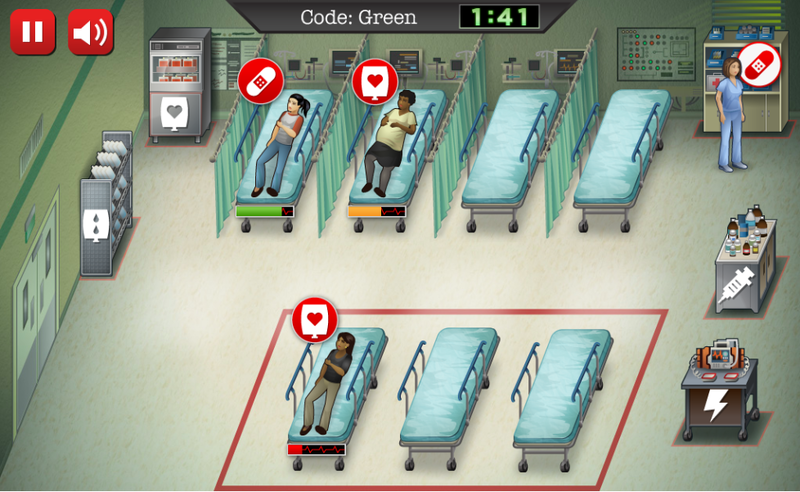 Developed using GameSalad and published via the new HTML5 publishing, CBS brings you CODE BLACK: Courage Under Chaos. The game was built to promote their new series, which starts next Wednesday. We can't wait to see what YOU do with this feature! You might have noticed that the old "HTML5" publishing target is now called "Arcade". 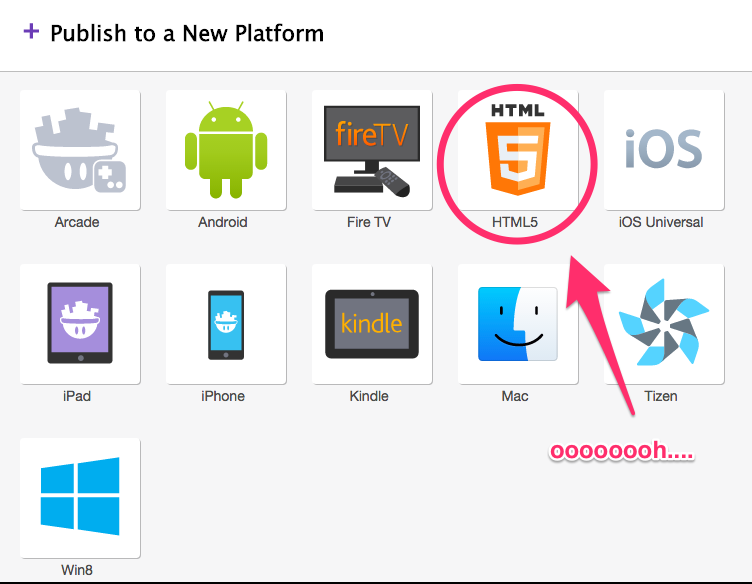 That was so we could name the new target "HTML5". HTML5 publishing uses JSONP to transfer data. This allows you to host your games on one domain and load them from another. The way the engine loads files, it will likely not work if you just double click the index.html from your desktop. You will either want to dump them on a file server (something like Amazon S3 or Rackspace Cloudfiles for instance) or run your own local web server on your desktop for testing. Publishing might take a bit longer than other target platforms, especially if you have a lot of sound files. A while back, we updated Arcade publishing to finally convert sound files to all the formats required for HTML5. We use Amazon's Elastic Transcoder to convert sound files and there are API limits to how fast you can hit the transcoder. So we have to add a 1 second delay between each transcode request, which means every audio file you include will increase publishing time by 1 second. On the plus side, this means your games should work on all modern browsers with their varied sound formats requirements! The HTML5 engine, being a separate engine, will always be a bit behind GameSalad proper. So not all of the features available to GameSalad will usable on HTML5. When in doubt, try HTML5 preview or publish your game to arcade. Most notably, the network behaviors will not work. There are also a few outstanding bugs. Because this feature is so powerful, it is strictly Pro only (it will not be available for the Trial). Hopefully I can do a test publish today! Great news! I wonder who developed the title for CBS, can you say? Do you have an overview of which behaviors will not work in HTML5? E.g. networking. Awesome! Great news for us, can't wait to mess around with it. @Hopscotch this isn't a complete list, but basically networking, social and ad behaviors don't work. There are also some bugs with tables. Thank you for the info adent42! Awesome News! The future is here. Thank you for making html5 publishing. @freneticz this is mostly for people who do client work and don't want GameSalad branding on games published to the web. It's also useful for a number of GameJams that require you to submit the file zipped as a package. Think of this as a replacement for what flash games.
" Your zip file must have an index.html file in the top-level folder." @jonmulcahy I cant thank you enough it works !!! thanks alot !! Thank You! This is going to be a great marketing tool. Oh dang... independent HTML5 is either directly submittable to Steam Greenlight or only one wrapper away! That was a big wishlist item for me. I wasn't expecting it so soon! Wonderful news since the mainstay of our business is website design and development. My problem will now be too many irons in the fire... but better than no fire at all. I'm just waiting for @Photics to pop in and rejoice with us! Any way to monetize on this? which is the best way to convert all audio files? i just dropped my offending sounds into iTunes and made 44.1khz 16bit wav files and brought it back into GS and picked if they were sound or music files.